Apply concealer on the inner corner of eyes. I will recommend using the salmon colour concealer. It instantly brighten the under eye area. Blend and bring down towards nose. Apply highlighter on the outer side of eye and brow bone to avoid any reverse circle effect and for youthful glow. Blend properly. Line eyes with kohl pencil. Do not take it to the inner corner. Leave it clean. Apply pencil under the lower lash line and tight line. Try not to apply on your waterline. With angled brush, blur eyeliner for softer look and winged it out. Apply any champagne colour (or any other shimmery colour) in the inner corners of eyes. It will open up and draw light towards your eyes. Set your concealer with powder and clear any fall outs. 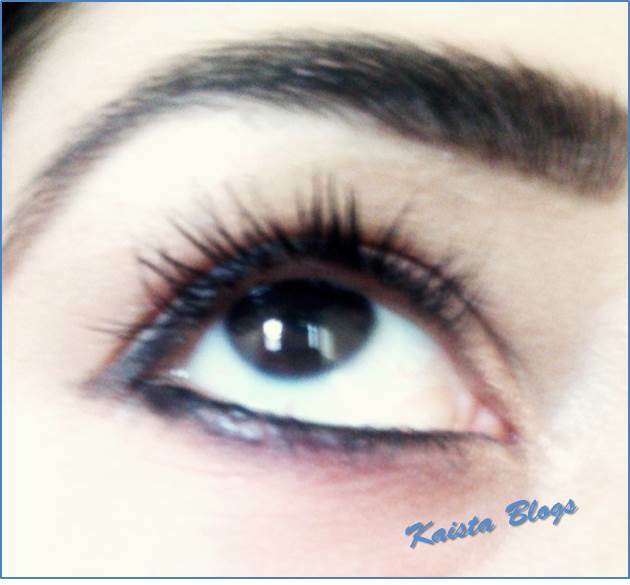 Apply generous coats of mascara on upper and lower lashes and Viola…. Happy eyes. I’m also in love with that mascara from Lily Lolo, it’s awesome and my sensitive eyes never felt better!I’m attracted by this brand so much but it’s so gosh darn expensive! I’m gonna have to start saving for it because it needs to happen!